The one final table of today is down to heads-up play, as the $2,000 Pot Limit Holdem event is down to Chris Bell and Davidi Kitai. So far during heads-up play, there have been 10 lead changes as they’ve battled back and forth for over 3 hours, covering about 120 hands at this time. Follow along with the live updates at the WSOP website here. The only final table for today, the $2,500 NL Holdem 6-handed event, is down to the final 3.Ã‚Â Seth Fischer is the current chip leader, Team PokerStars Pro Dario Minieri is second, and Justin Filtz is in 3rd. Dario once had over half the chips 3-handed, but he’s doubled up both players and run into some bad luck to fall into 2nd. Their action can be followed at the World Series of Poker’s live updates here. 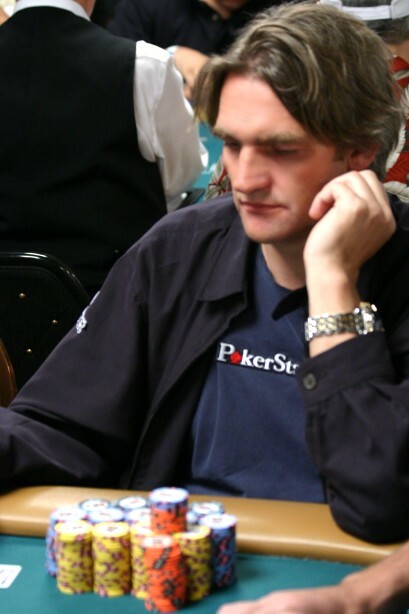 LAS VEGAS–Amnon Filippi is one of the chip leaders in the H.O.R.S.E. event. No surprise there since this will make his fourth cash in the 2007 WSOP. Amnon, known for his charming smile, last longest bets and a good sense of humor, has a long list of cashes and can often be found hanging out with J.C. Tran. But will he take down his first bracelet? LetÃ¢â‚¬â„¢s hope so, heÃ¢â‚¬â„¢s due for the wrist trophy. 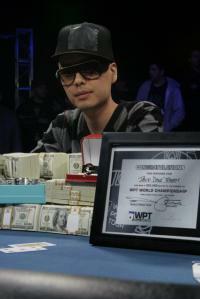 In other news, Lisa Wheeler has written a great article on pokernews about Vinnie Vinh. Which makes me wonderÃ¢â‚¬Â¦what are the intervention laws in Nevada (assuming his friends really believe he has a drug problem). Is anyone (that can find him) stepping up to help him? Or will they just stand by and shake their heads saying Ã¢â‚¬Å“itÃ¢â‚¬â„¢s just so sadÃ¢â‚¬Â after itÃ¢â‚¬â„¢s too late like an infamous similar situation?